Everything you expect from Breville will be found in your Opula kettle – durable quality, great design and innovative technology, with a soft touch pearlescent matt white finish that sets it apart. With a 2.4kW concealed element, the kettle is fast to boil and easy to clean. Accommodating 1.7L of water, the VKJ793X is great for families and its 360 degree rotational base is handy for right or left handed usage. Stylish – with classic white soft touch matt finish and stainless steel highlights. 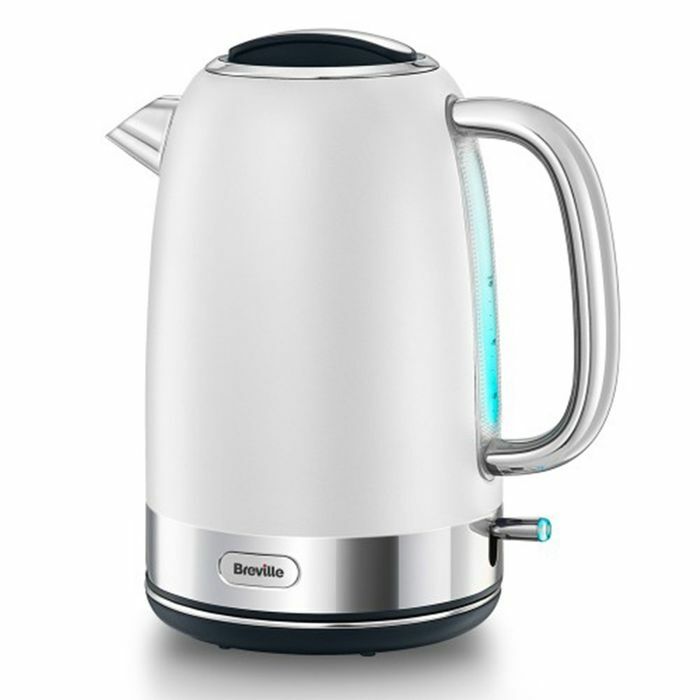 1.7L capacity – makes up to 6 to 8 cups of tea. 360° base – for left and right handed use.